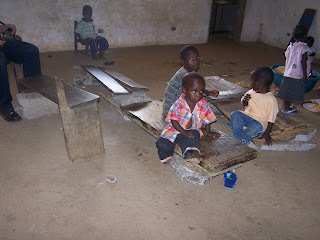 Borto Deseret International Orphanage and School is located inHarrisburg, Liberia. Harrisburg is approximately 90 minutes from Monrovia. Harrisburg is just outside the jurisdiction of the humanitarian efforts of the United Nations Mission in Liberia for the present time. 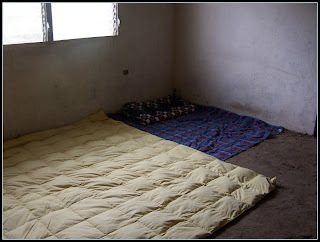 At the Borto Orphanage there are 40 children, without parents, that live there full time. 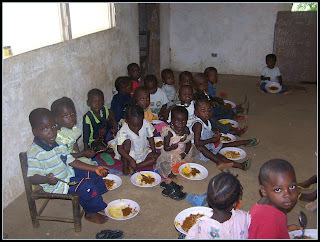 There are a small number of children that come every day for school and one meal. The caregivers for the orphanage are volunteers from the community who hope that someday there will be help for the children and the school. The building that they are presently using has been given them for use by an older gentleman and his wife who only wish to be fed by the orphanage. There are no beds, tables, or adult chairs. The Nebo Reading Association, of Spanish Fork, Utah, donated 40 small chairs for the children and some school supplies. Some rice is being donated monthly by local NGOs in the Monrovia area. *Bed Nets and Screens for all the windows to keep the mosquitoes out. The Harrisburg City Council has donated a piece of property that a new building could be built on. At the moment, it has an existing structure that does not have a roof. There are two great women in Monrovia that love children and have taken this orphanage on as their personal project. However, they do not have funds to help. They do have the man power, and the will. These two women have been trying to get funding from NGOs in the Monrovia area, but the orphanage is far enough away that it is hard to get help from them. 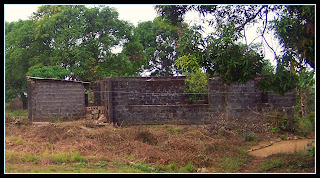 The goal of Borto DeseretOrphanage and School is to provide a home for the orphaned children, and also a school for the surrounding community. They would like to be able to provide agricultural training for the children and local citizens. They would also like to provided classes on parenting skills to the community.